All around the world, people are complaining about their backs. From minor to major back pain, this injury can inhibit our quality of life and diminish our spirits. It is a well- known fact that back pain is the leading cause of disability in America, and over 31 million Americans have experienced some sort of back pain in their adulthood. There are so many reasons that back pain can occur. 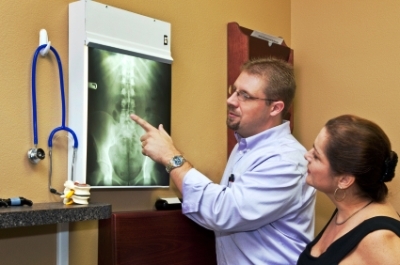 Understanding the cause of your back pain can significantly improve your back pain treatments. At Advanced Medical of Twin Cities, we believe in finding the root of your back pain so that the healing can finally begin. It’s that moment when you are in a car accident, sports accident or some sort of trauma that brings immediate pain to your back. Back injuries can be caused by acute injuries that immediately bring pain like a lightning bolt to your back. When this happens, time is crucial to your recovery. At Advanced Medical of Twin Cities, we want to see you as soon as your pain begins. In these crucial days, we can help identify the exact cause of your back pain, pinpoint the issue and create an effective treatment plan to alleviate your pain and restore you back to your original health. Acute back injuries left untreated for a prolonged amount of time have less of a chance of healing properly or completely. While some people can tell you the exact moment their back pain begin, most often people experience back pain that has gradually increased over time. Back pain can be caused by improper or even overuse of your back. Examples of this can include working out too hard or lifting too much at once, sitting or laying down in a certain position for too long, working at an office setting for too long or even just bad posture. There are many back pain causes that start off slow and increase overtime. When this is happening, it’s crucial that you know your exact cause so that we can restore your back and then perform preventative measures to keep it from happening again. Causes of back pain are truly endless. From intense traumas to simply sitting at your desk for too long, back pain comes in a wide array of severity and longevity. At Advanced Medical of Twin Cities, we never give our patients the same treatment plan. We know that every patient is different and every back pain sufferer has a story of their own to tell. If you are experiencing back pain, getting to the root cause of back pain is essential to your treatment. For more information about the causes of back pain and how our team of professionals at Advanced Medical of Twin Cities can help you, give us a call today at (763) 541-1280.